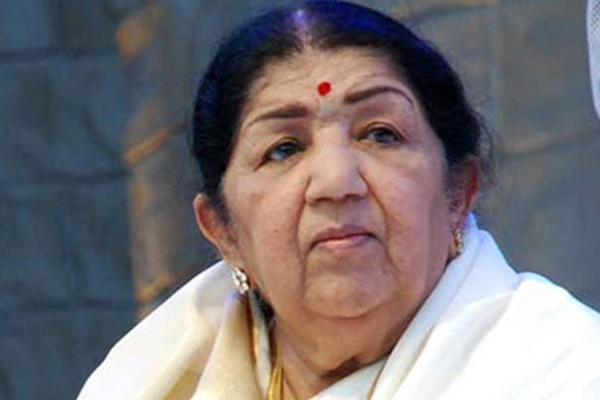 MUMBAI: Singing Legend Lata Mangeshkar doesn't listen to much of today's music. Not that she listens to her own songs either. "I never could bear to hear myself. Whenever a song of mine would play on the radio or television, I'd quickly leave the room. If I ever hear myself singing, I find a dozen faults," says the eternal songstress with a laugh. Strange, coming from a singer who is known to be ceaselessly faultless. In fact once the great Hindustani classical vocalist Ustad Bade Ghulam Ali Khan had affectionately cribbed: Kambhakt, kabhi besura nahin gaati(the devil, she never goes off-key)." Lataji laughs at this. "Woh unka badappan tha (that was his greatness). But any artiste, singer or otherwise, must keep striving for excellence, no matter how much they achieve. Nowadays I don't see that 'lagan' (discipline), that 'junoon' (passion) in singers. "I get the feeling they are happy achieving what they get to achieve in no time at all. No artiste should be satisfied with what he or she has achieved. There is always another sky to conquer beyond the one that you think you've just reached." The one thing that Lataji sees lacking in singers today is practice. "Riyaaz. That is what makes singing worthwhile. I never felt I had enough time to do riyaaz because I was in and out of recordings constantly. But I still made time to do riyaaz. Alas, not enough time. I wish I had devoted more time to practicing my classical singing. Singers today are losing touch completely with their classical heritage. An A.R. Rahman or a Shankar Mahadevan are so successful and long-lasting because they know their classical heritage." Lataji also warns against imitative music. "Re-mixes and cover versions of old classics are very lazy routes to instant success. Remember, a song that has attained a classic's status is regarded so highly because it is of a quality that cannot be replicated. I've heard some of the re-mixes of the songs sung by Rafi Saab, Kishoreda (Kumar), Mukesh Bhaiyya, me and my sister Asha. And I cringe. Please, create original music. Imitation is not creation. It isn't even art." MUMBAI: Singer-composer Tony Kakkar says there is no competitiveness between him and his two sisters Neha Kakkar and Sonu Kakkar, who are also singers.